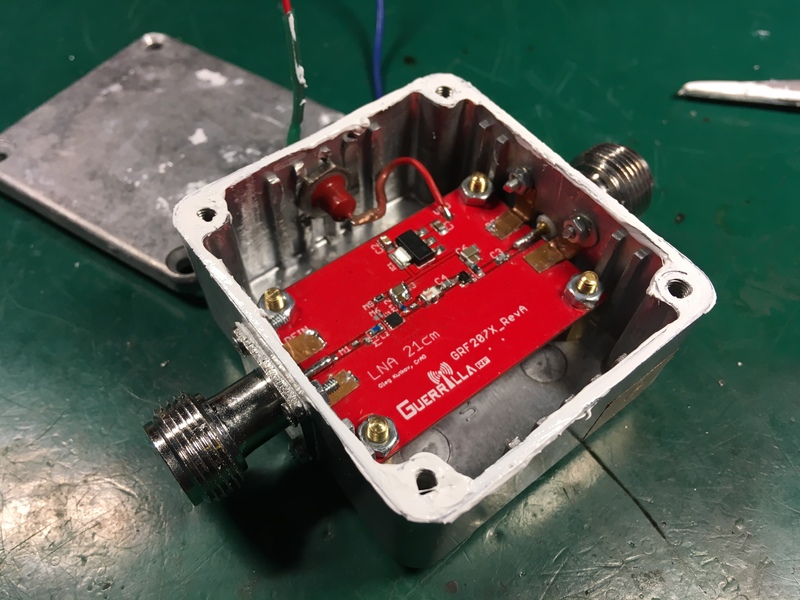 This amplifier is a part of the my DIY radiotelescope project. Please watch this intro videos from the last year. 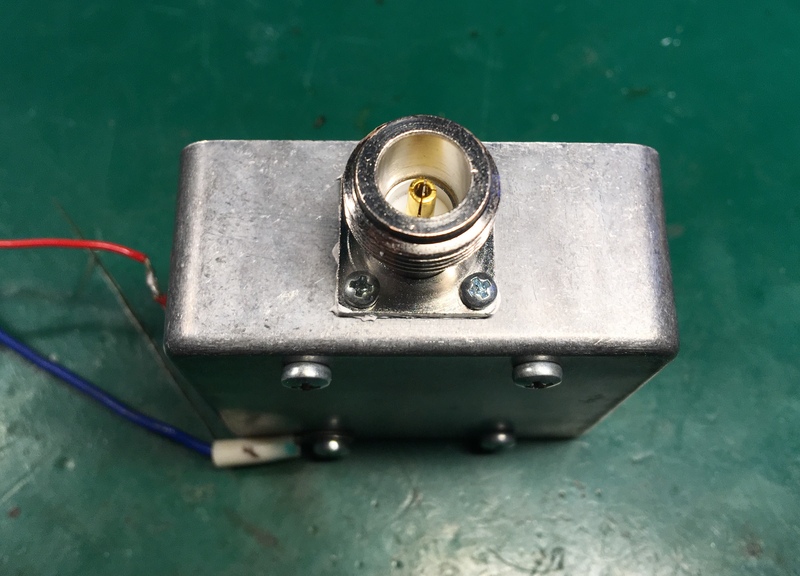 In the following article you can read more about this antenna. 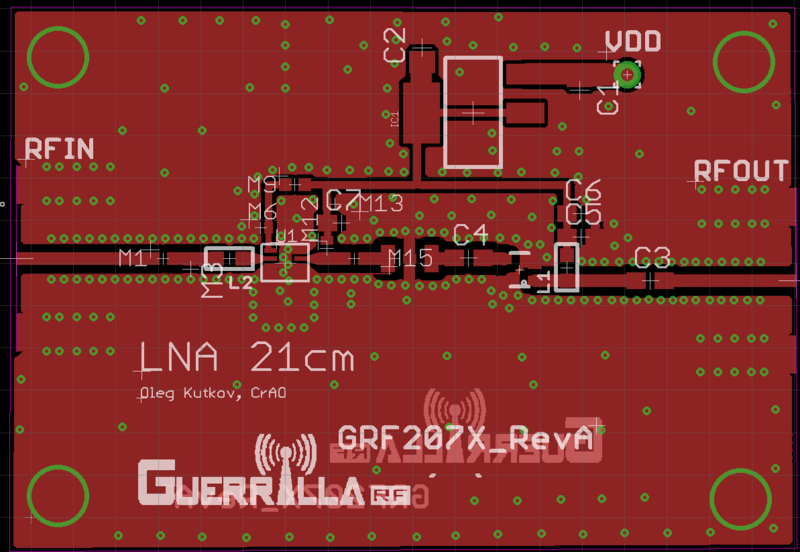 But now let’s see how to build first stage LNA (low noise amplifier). 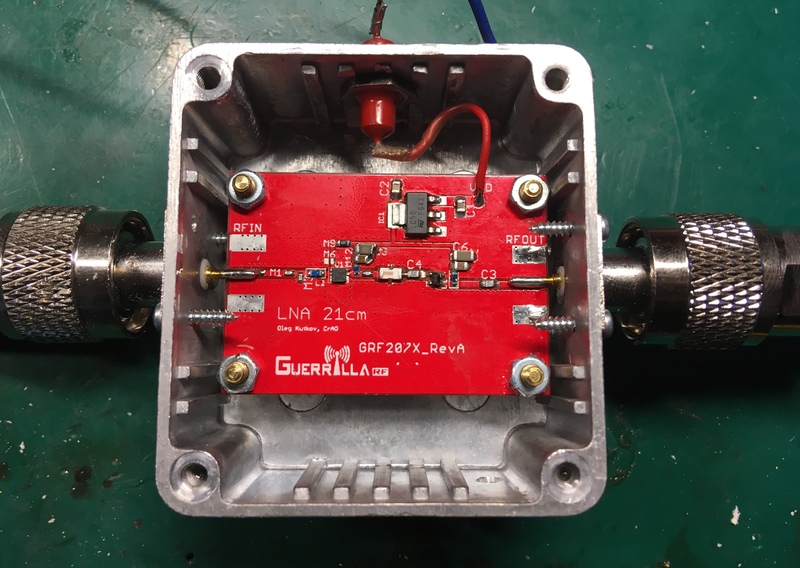 This amplifier is a two stage device with high pass filter. 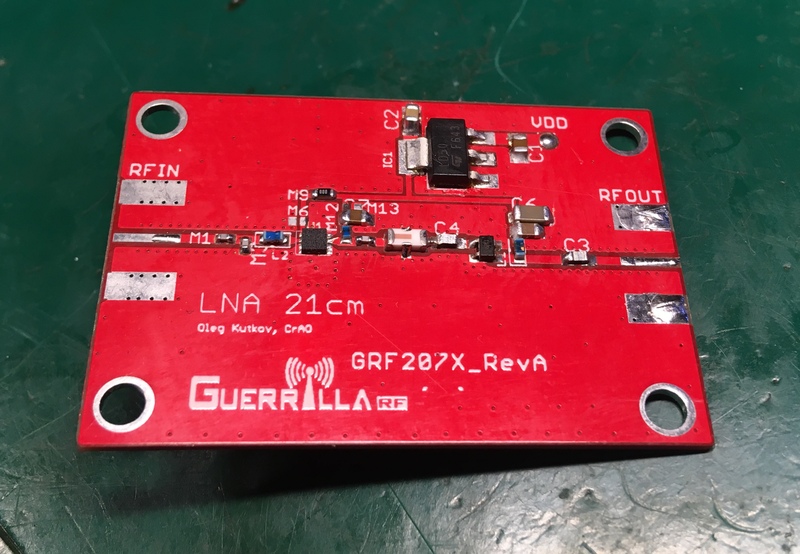 As a first stage amplifier I’m using GRF2071 from Guerilla RF. Thank you guys from Guerilla (Eugene Proenza, Alan Ake, Frank Nicosia and others) for the great technical and information support. 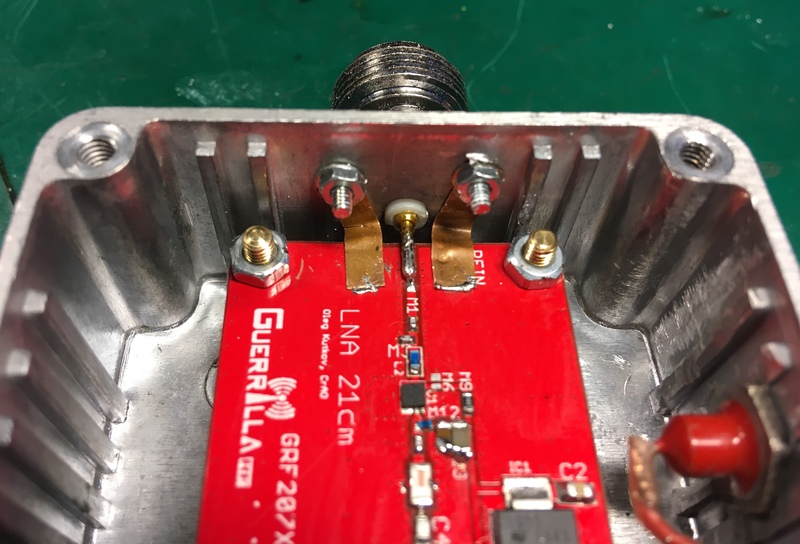 Components surrounding GRF chip (caps and inductors) was selected for the best performance at 1400 MHz. Between amplifier stages I’m using HFCN-1200 high pass filter which can reduce unwanted low frequencies and determines the frequency response of the all device. 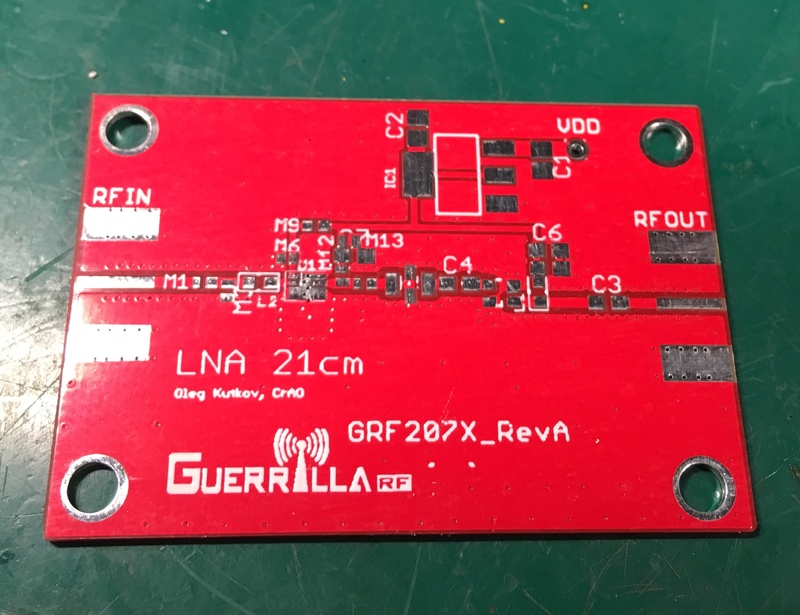 Second stage of the LNA is performing additional line amplification of the signal (which is a little bit attenuated by the HP filter) before sending this signal to the feeder. This part is based on the popular SPF5043Z IC. Of course real world device can’t get such characteristics due to many reasons but anyway real params should be very close to the theoretical and that’s great. 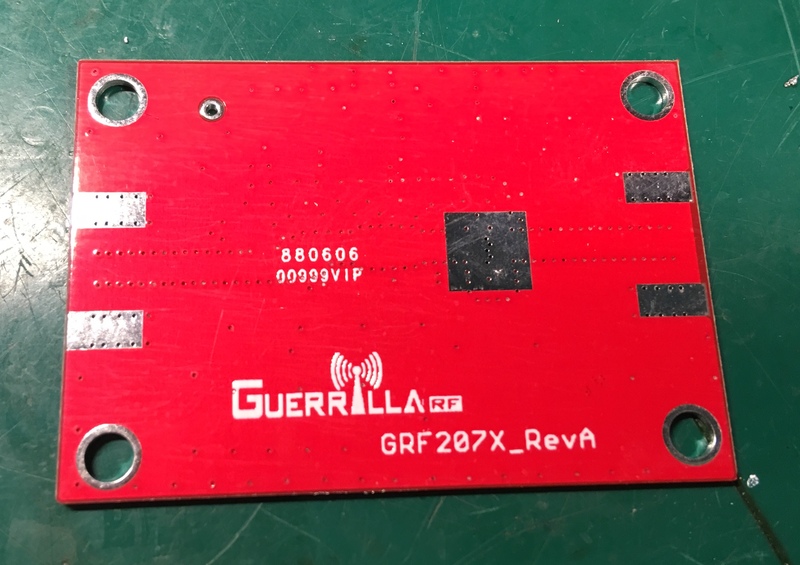 Under the GRF device is very important to place thermal pad without solder mask. Please contact me if you whish to get Eagle project files. Whole board was placed inside the metal box which was hermetically sealed. As the input and output connectors I’m using the N-type connectors which were bolted to the case. For the power delivering is used 4700 pF feedthrough capacitor. Optimal supply voltage is 6-9 volts. 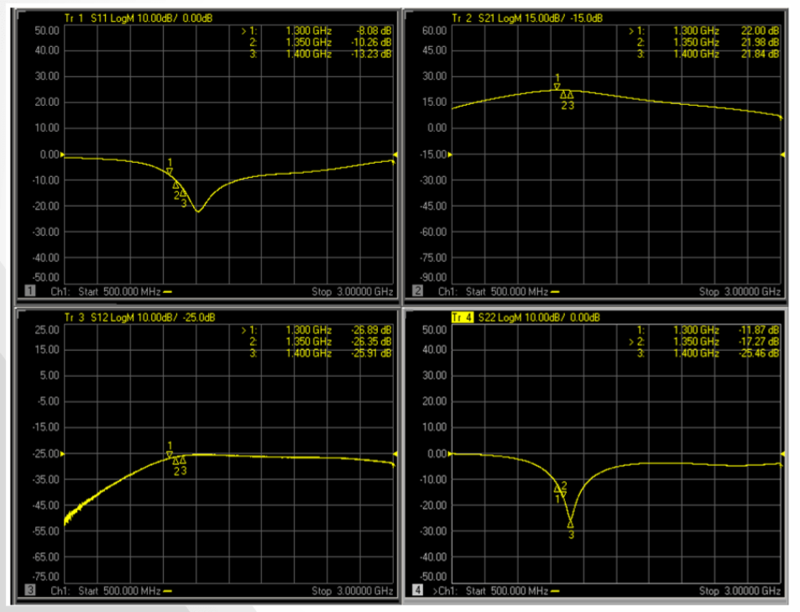 LNA noise is very depends on the system total temperature. 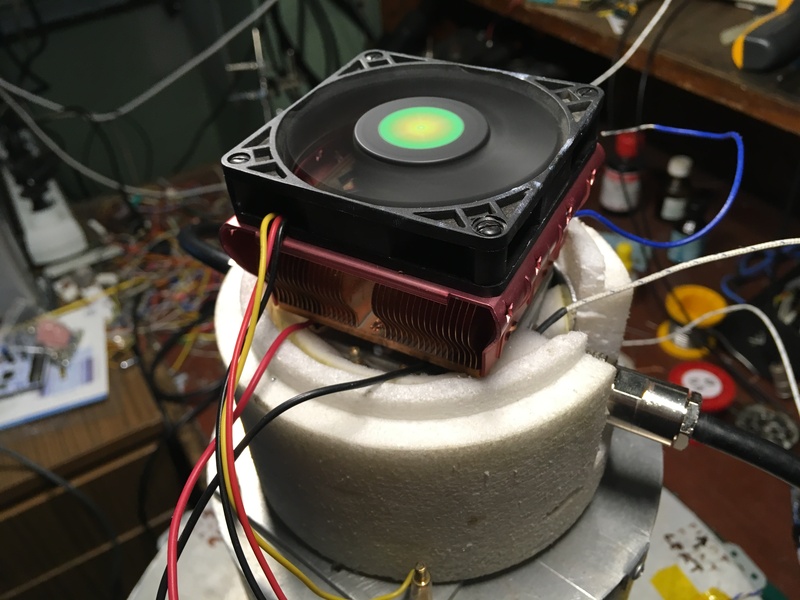 So it’s always a good idea to cool the device. For the cooling purpose I’m using Peltier and cooling system (radiator + fan). 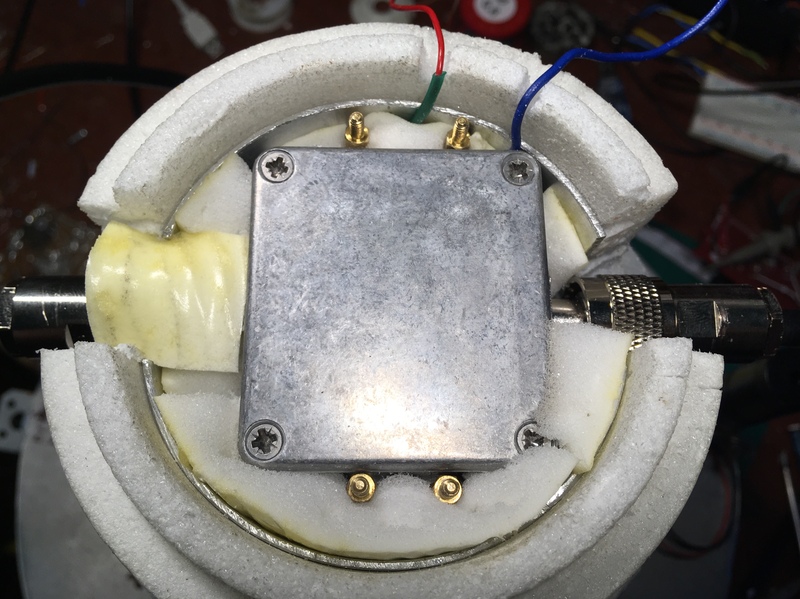 To get better performance I put whole construction inside the aluminum can which is surrounded by the thick layer of foam. Testing of the new system. Receiving noise-like signal from the Moon. Please enable the english subtitles in the video.